‘Reusable’ – that’s the buzzword these days. I have heard the statistic of around 2000 plastic bottles per year could be discarded by the average family. Well, not sure if I would agree with that estimation, but it’s undeniable that lots of people throwing away lots of plastic isn’t a good idea. 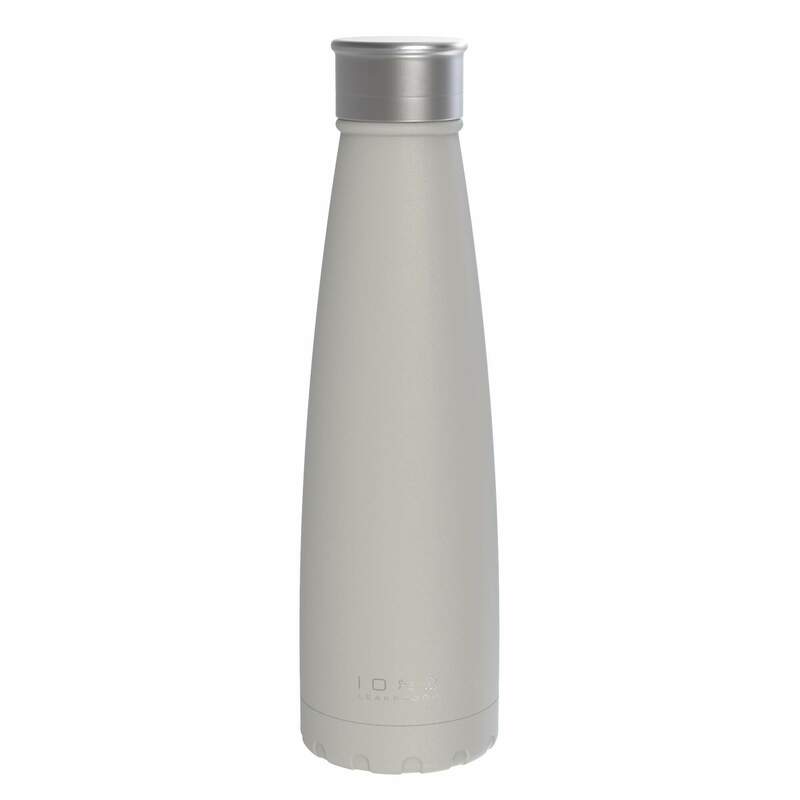 One could consider the Ion8 Leak-Proof Steel Vacuum Flask! There isn’t much we can do if supermarkets load our trolleys with plastic, although even they are getting the ‘green’ message. But we can take control of how we use plastic at home, and that could be by not buying it in the first place. If we buy a coffee to drink on the way to work then there are 5 opportunities to save waste every week right there – along with saving on the inflated price of tea or coffee contained within that trendy and trashy cup. 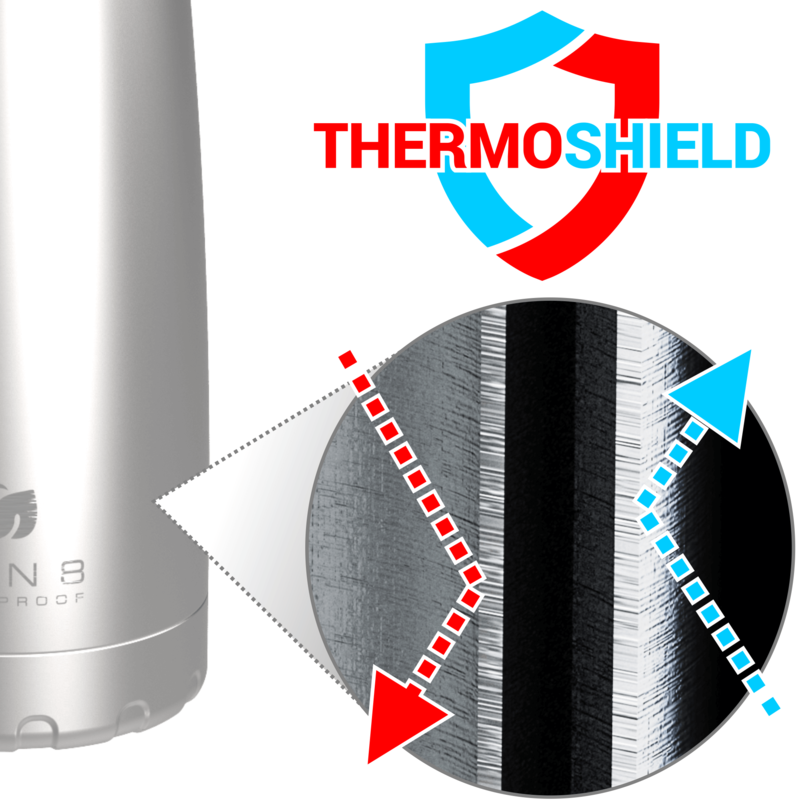 Make your coffee, fill an Ion8 Leak-Proof Steel Vacuum Flask, and off you go! 100% leak-proof, this 450ml / 15oz BPA-free reusable and refillable insulated stainless-steel carafe is a trim thermal solution. It holds two cups of tea or coffee, so perfect for even the longest commute. The designer flask is painted with a smart Harbour Mist Grey powder paint (other colours available), giving a non-slip textured finish. The elegant ridged cap opens with only a single twist. The bottle’s wide mouth makes quick refills and even adding ice cubes simple. This would be ideal for summer drinks as well as winter warmers. ThermoShield double-walled vacuum-insulated 18/8 stainless steel keeps your drink at the perfect temperature. The Ion8 Leak-Proof Steel Vacuum Flask keeps drinks hot for up to 12 hours or keeps refreshing liquids cold for up to 24 hours. These drinks bottles stay sweat- and condensation-free. No concerns about rings on your table or dampness in your bag. Ion8 use the best pro-grade 18/8 stainless steel. The flask is extremely durable, it won’t corrode or degrade over time, even with years of hot or cold use.